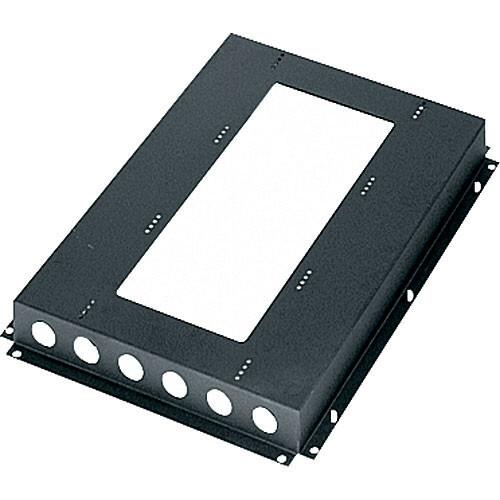 The BS-MRK-42 Inner Platform Base for 42" Deep MRK Enclosure from Middle Atlantic is a platform that can be installed inside an existing MRK enclosure to better support heavy equipment and mount electrical boxes. The base fits inside the rack flush with the bottom rack space. This unit is designed for use with a 42" deep MRK enclosure. This special platform allows you to support heavier equipment and mount electrical boxes within your 42" deep MRK series rack. The base fits inside the rack flush with the bottom rack space. Box Dimensions (LxWxH) 43.0 x 24.0 x 7.0"